Woman In Hair Rollers Is Holding A Frying Pan. Very Frustrated.. Stock Photo, Picture And Royalty Free Image. Image 5026065. 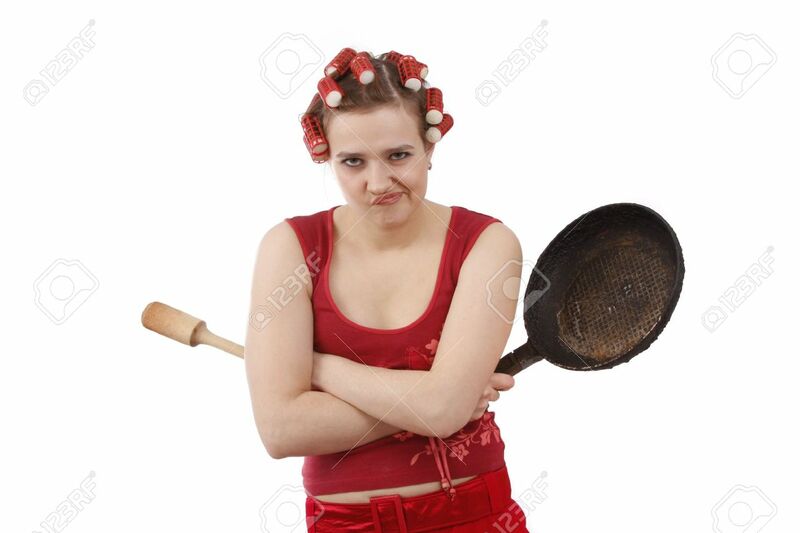 Stock Photo - Woman in hair rollers is holding a frying pan. Very frustrated and angry mad woman. Angry look on face. Studio, white background. Woman in hair rollers is holding a frying pan. Very frustrated and angry mad woman. Angry look on face. Studio, white background.